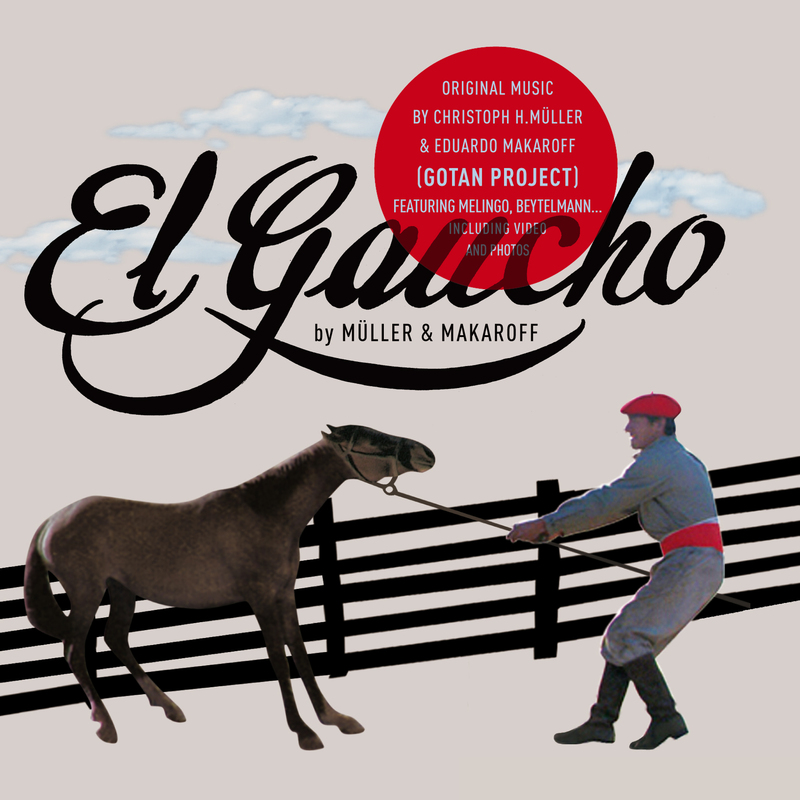 “El Gaucho” is first and foremost a film by Andrés Jarach. More than a documentary, it’s a road movie in another Argentina: not the urban Buenos Aires one, but the one frozen in time, immense flat and often dry expanses inhabited by herds of cows or sheep and their mounted guardians…the Gauchos. It’s the trajectory of Andres Retamal, a rugged horse breaking genius crossed with rodeo star, who embarks on a voyage with his little boy that, from one trophy to the next, leads them to the sea. A journey of double initiation for the child – the discovery of the ocean, and more, the discovery of the horse – the film is the tough and tender log book of this adventure. “El Gaucho” is also a record, the music of the film which punctuates the silences of the taciturn man. But it is much more than a soundtrack, more of a voyage within a voyage. Composed and produced by Christoph Müller and Eduardo Makaroff, two of Gotan Project’s three pillars. Very far from the sonic experimentation of Gotan and its hotbed, tango, the soundtrack explores rural Argentina, starting with tango’s elder sister – a country girl –milonga and zamba, another gutsy rhythm. Argentina’s country music, but rather more wily, more twisted. All of which sits well with the “mood” of 19th century Argentine literature’s hero, Martin Fierro, incidentally also known as… El Gaucho. So, who really is El Gaucho, in modern-day Argentine mythology? A tough horseman who carries a knife in one hand and a guitar in the other, one foot in the rough country and the other in the city, a cross between Spanish and Indian. Free to roam and unable to stay put, our proud and solitary cowboy of the Southern Cone transcends distances, from the foothills of the Cordillera mountains to the aridity of Patagonia. Scattered with live recordings from these amazing rodeos, this record is often instrumental, sometimes sung (by the great Melingo, also the film’s narrator) and conjures up a completely other-worldly circuit in a timeless Argentina of the Pampas, where the horse is both valuable tool for work and untameable adversary of man, where everything circles around the palenque, the pole to which the spirited mount is tied. The music played on the bandoneon and the guitar, sometimes joined by a rural harmonica, seems to stretch time even more. Makaroff and Müller invite us to immerse ourselves in the timeless, with their usual urban accomplices, amongst whom the Flores brothers and Gustavo Beytelmann, all customary names on Eduardo Makaroff’s record label Mañana, which normally explores city tango. Furthermore, this time it is the turn of the horse and gauchos to come to life in the now traditional pop up record sleeve, Mañana’s hallmark.